With every exorcism or possession film comes with a huge shadow cast over it by The Exorcist. With Along Came The Devil that is still true, however it has tried to distance itself from other films, in different ways with varying results. After a traumatic childhood in which her mother died and her father was abusive, Ashley (Sweeney) is sent to live with her Aunt Tanya (Barth) in her old home town. Ashley starts experiencing some supernatural issues and seeing visions of her mother. After Ashley calls on her mother's spirit, things start happening around Ashley that may end up costing her everything. The one thing that stands out in Along Came The Devil is the visuals. Whether it is camera, light tricks or effects Director Jason DeVan pulls off some pretty great stuff on a budget. Particularly effective is a light trick early on in the film and it is really unsettling until you realise what it is but it works by putting you on edge. The acting in Along Came The Devil is varied, every character has some good moments, other moments are over acted and dip into melodrama. This doesn't kill the tension that the film builds at certain times however. The writing is up and down as well. There is a lot of backstory in the film and that's fine but I felt it need a little more development on the present day story including a few strange character decisions. 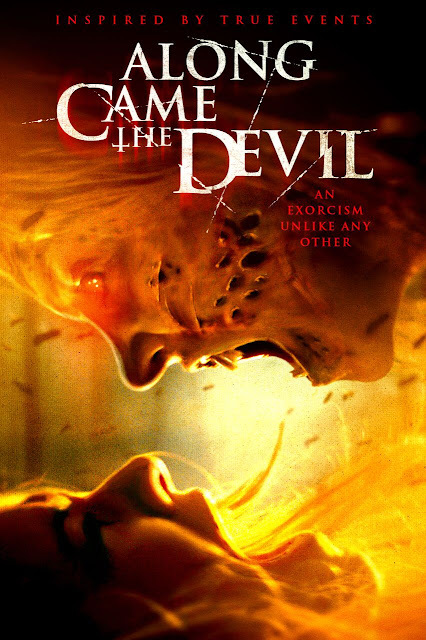 Having said that Along Came The Devil is interesting in its depictions of possession and if possession films are your style of horror, you will definitely find some good things here.